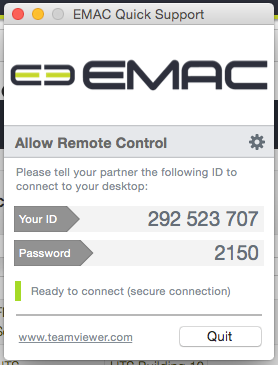 If you have a MAC and Team View will not Authenticate on connection you will have to make a change to your Security and Privacy folder. 1. In your MAC go to System Preferences. 2. Select the Security and Privacy folder. 3. Once you are in the Security and Privacy folder click the lock to make changes. 4. Allow Apps downloaded from: Anywhere. 5. From the pop-up window click Allow From Anywhere.